In a question-and-answer exchange with Farm Journal Editor Rhonda Brooks, U.S. 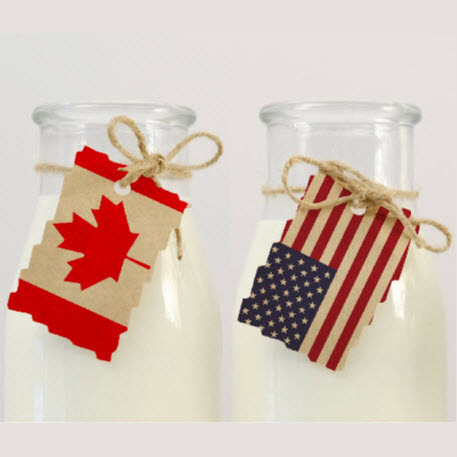 Dairy Export Council President and CEO Tom Vilsack addresses anticipated trade policy challenges the U.S. dairy industry will face with Canada in 2019. Below is an excerpt. Click here for the expanded, complete Q&A in Farm Journal. Q. What’s your perspective on our new trade agreement with Canada and Mexico? Vilsack: With regard to Canada, I think we need some reassurance that the terms and conditions of the U.S.-Mexico-Canada Agreement are actually implemented. Canada has to be more transparent with its activities relative to the dairy market. We've seen for far too long Canadians agreeing to do one thing, and then utilizing a loophole or utilizing some tactic to basically sort of disregard what they've previously agreed to. We need to have a better understanding of exactly what the Canadians were doing in terms of the Class 7 elimination. It's great that it's going to be eliminated, but it's been replaced with something. The question is, can that something be maneuvered and manipulated to the point that it's a Class 7 by a different name? And so, we need greater transparency. If we don't have that kind of reassurance, then that obviously gives us pause for concern. The same thing is true with market access; do we really have that market access? Are we going to play some of the same games that have been played before? For example, when we had a quarter for fluid milk, the Canadians would essentially say, ‘The milk that's coming across the border from our customers going into American grocery stores counts toward the fluid milk quota.’ No one's keeping track of all those customers coming across the border. Why are they coming across the border? Well, because dairy products are a lot less expensive in America, because we don't have the supply management system they have in Canada. So, you know, with that kind of situation I think we want to be very wary of how hopeful we are. With Mexico, it continues to be a strong market for us, our No. 1 market, and we’d like to see the retaliatory tariffs lifted in Mexico now. To read three additional questions and answers in the full Farm Journal article, click here.